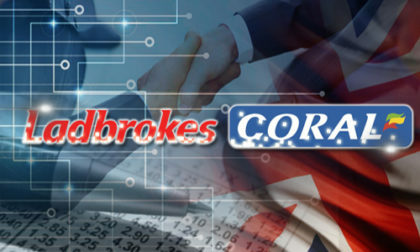 Questions over how United Kingdom sports betting giant Ladbrokes has handled and processed certain racing passed on for secondary approval has the firm awaiting a final arbitration ruling from the UK’s Independent Betting Arbitration Service (IBAS) regarding its processes for handling wagers needing secondary approval from the company’s traders. At stake is more than just the sums wagered in three cases currently under IBAS review; should the agency issue a ruling adverse to Ladbrokes’ position, the company may end up having to pay out on hundreds of wagers it had officially declined. It’s an interesting tale, with the official IBAS review involving three rather similar wagers that were sent on to Ladbrokes’ internal traders for secondary approval. The three wagers, each dating back to December of 2017, were officially declined by Ladbrokes, yet documentation in all three instances indicates the bets may not have been declined, but accepted and later cancelled. In all three instances, according to a feature on the dispute served up by The Guardian, the bettors received an official “bet number” as generated by Ladbrokes’ wager-processing system. Only later did the customers discover that the best had been declined, but whether the bets had been accepted and later cancelled rather than simply being declined, as is the norm with wagers sent on for secondary review. As often happens with such disputes, there’s a complicating factor. The Guardian subsequently published a feature detailing a fourth very similar case, involving a more recent matter. On July 2, a horseracing enthusiast named Paul Glynn placed what he thought was £330 of total wagers on races taking place on July 7 at at Sandown and Haydock racetracks. Glynn also received official bet numbers for his wagers, and his Ladbrokes account was duly dinged for the £330. Less than an hour later, though, Glynn discovered that his wagers had been cancelled and the £330 returned to his account. One of the wagers that Glynn placed turned out to have been a winner, excepting the whole cancellation of the bet. Glynn inquired as to why the wager had been cancelled, wasn’t satisfied with whatever explanation he received, and threatened to sue. Ladbrokes responded by paying out the cancelled bet, which would have paid out £1,200, likely less the £150 Glynn initially wagered. There’s a subtle distinction between a wager being submitted for further review — which, as The Guardian duly notes, is a not-uncommon practice — and actually accepting a bet and cancelling it after the fact, whether or not Ladbrokes actually had the intent of not accepting the wager offered. There are numerous reasons why certain wagers can be flagged and passed on for secondary review, but the commonsense argument behind the consumers’ disputes is that Ladbrokes needs to make clear up front that the wagers have not been accepted. According to the anecdotal evidence, that hasn’t happened here. It’s likely a systemic issue on Ladbrokes’ part, something that can be handled with a software patch and a bit more training of the customer-service people. Yet it could turn out to be a healthy six-figure ding for Ladbrokes, since wagers passed on for further review tend to be pricier wagers that could skew a line. Ladbrokes had a rough week elsewhere as well, being one of three big-name books that saw its Australian site crash just an hour before last weekend’s Melbourne Cup. IBAS has yet to issue its formal ruling regarding these consumer disputes. The agency, which is part of the UKGC-created Alternative Dispute Resolution (ADR) process, has reportedly been looking into the matter for several weeks.